The CRA also promotes advancement of the industry through the support of the ProStart Program. ProStart is a two year culinary and management program for high school students. Learn more about ProStart here. ProStart is the two-year career-building program for high school students. Whether students are looking to enter the job market directly after graduating, or if they plan to attend college, a ProStart graduate makes a solid candidate for success. ProStart students spend two years in the classroom mastering the fundamental management and culinary skills needed for success. ProStart trains students on industry-specific skills that can be used in all aspects of the restaurant and foodservice industry. Students also leave the program with employability skills – like leadership, accountability, teamwork and responsibility – that they can take with them to positions in all industries. While classroom experience is necessary to learn the foundation of culinary and management skills, nothing beats real-life experience gained by working in the industry. ProStart students learn how to be an industry professional through hands-on work under the direction of a mentor. Mentors help students make the connection between their present performance and their future career. Students will also learn the importance of arriving on time prepared for work, teamwork and accountability. Then ProStart students put that learning to work on the job in qualified foodservice operations with industry professionals. In their mentored work experience, students receive mentor support, character development and real-world skills that give them a head start toward a career in the industry. Students put their skills to the ultimate test in the National ProStart Invitational. This demanding culinary and management competition invites top students to represent their state, with winning teams competing for scholarships. Connecticut hosts its own ProStart Invitational each winter, with scholarships going to members of the top three teams and the winner representing Connecticut at the National ProStart Invitational. At the end of the program, ProStart graduates possess a solid foundation for their future careers, and they can earn the ProStart National Certificate of Achievement. This certificate recognizes students who have successfully passed the ProStart 1 and 2 exams and completed a 400 hour intership in the industry with mentored work. ProStart students who achieve the COA are eligible to earn special scholarships and course credit from colleges and universities across the country. It also opens the door to our vibrant and growing industry. ​Over the last decade, ProStart has fostered countless success stories. With your help, there will be even more positive experiences to share in the future. 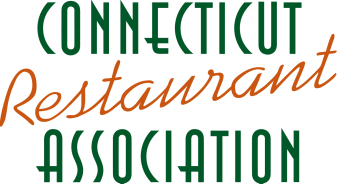 Contact Jennifer Conkling-Schmitz, Connecticut's ProStart Coordinator, 860-794-6666 or conkling@ctrestaurant.org, for more information about your school participating in ProStart.